This powerful indica is the result of the cross between Blueberry and Black Domina in its autoflowering form. Only 65 days are requested to grow thick, heavy buds, frosted with resin, with a powerful berry aroma and a hashy aftertaste. The Black Domina is clearly more dominant in this crossing than the Blueberry, this expresses itself in the spicy flavor of the strain, the wide fingered leaves and the effect that is intense body stone. The buds will be covered with a layer of sticky resin on the buds. 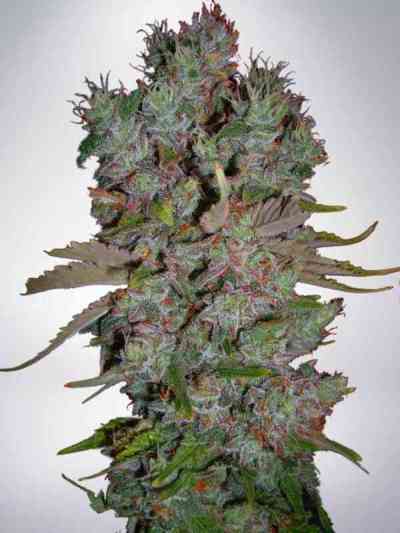 Auto Blueberry Domina is surely an Automatic strain worth of sowing, growing, harvesting and glowing.